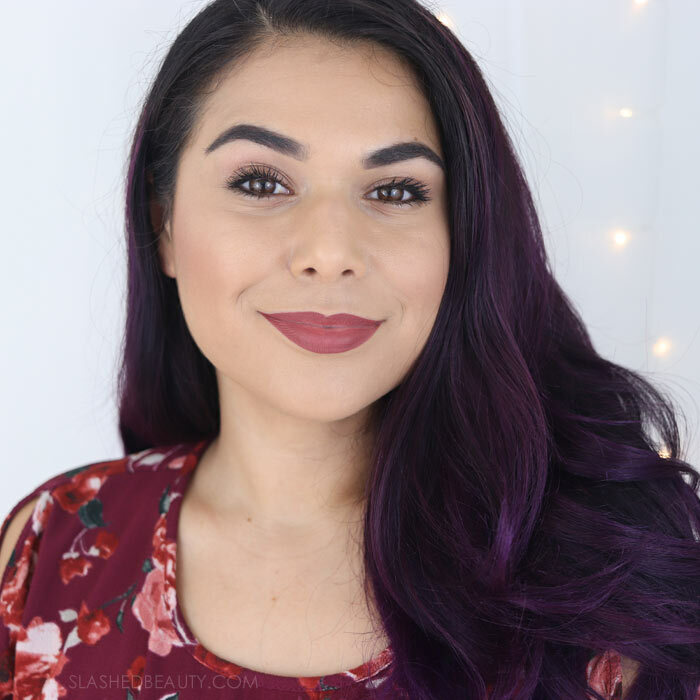 I love getting back into wearing a full face of glam makeup for fall, after a summer full of fresh-faced and lightweight looks. With that said, there are still days where I just don’t feel like doing my whole routine. This usually happens if I’m running short on time, or we’re going out with friends later in the night and I don’t want to go all out if my makeup will be coming off in just a few short hours. 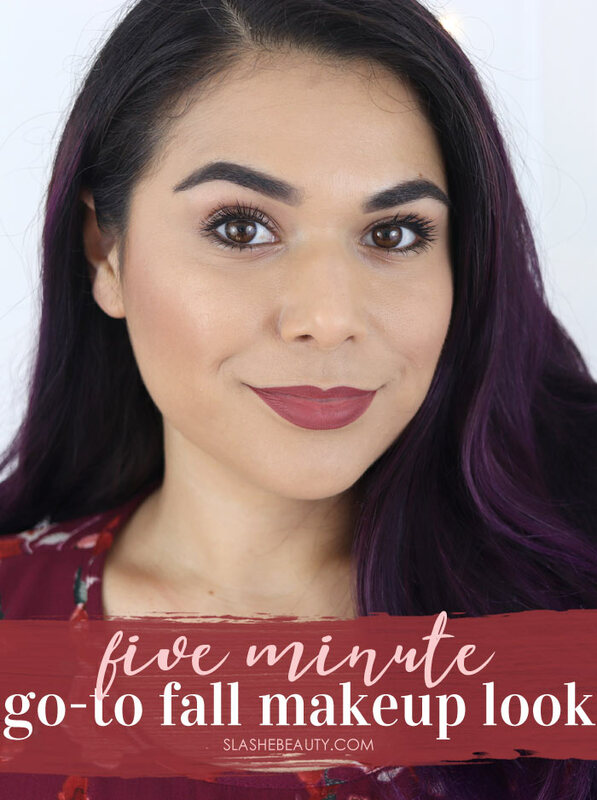 So I’ve recently fell into a go-to five minute fall makeup routine that I can speed through, while still feeling put together and polished. Even though it takes hardly any time at all, you’d probably never know it. This is also a great travel beauty routine if you want to pack light with a very versatile look that will match any occasion. 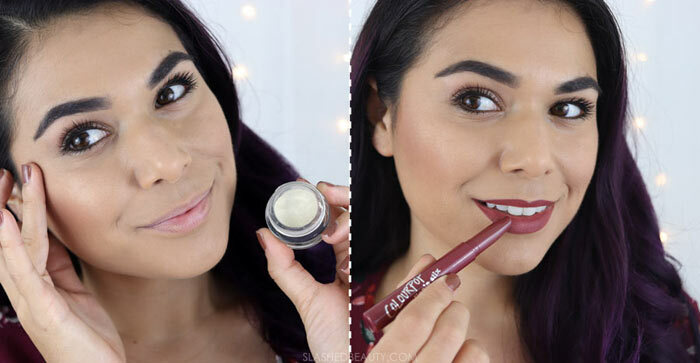 Keep reading for the steps to recreate this easy and quick fall makeup look on your own! To cut down on steps, but still get the coverage I need to even out my acne-prone skin, I use a full coverage foundation. The Maybelline Super Stay Full Coverage Foundation is a new discovery of mine, and I really enjoy the demi-matte finish. A little goes a long way, and one thin layer creates a smooth and even base for the rest of my look. I gotta fill in my brows to feel presentable, I don’t know what it is. They frame my face and make me feel like… well, me! 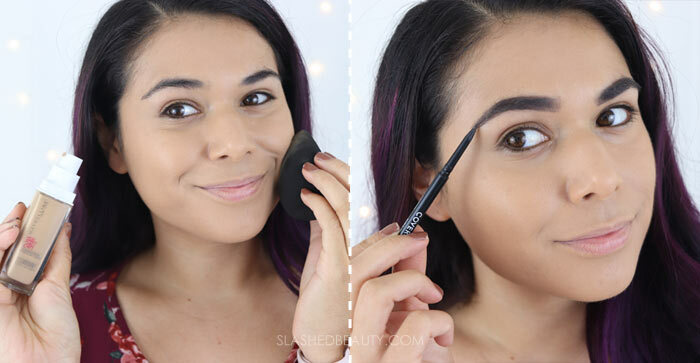 The Covergirl Easy Breezy Fill + Define Brow Pencil has been my favorite for months now, with a thin twist-up tip that creates thin hair-like strokes for a feathery appearance. 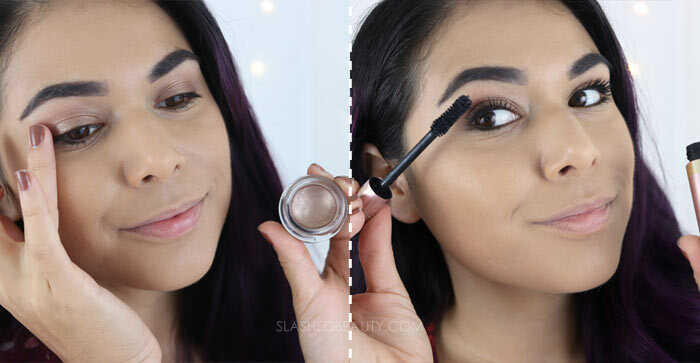 While you can feel free to leave your eyes bare, I like adding a bit of a bronze shimmer using the Covergirl Vitalist Healthy Glow Highlighter in Sundown. It’s a taupe with gold shimmer that works really well as a cream eyeshadow! It blends out easily but sets to stay in place all day. The taupe shade adds depth on your lid while the shimmer highlights for a perfect one-step eyeshadow. 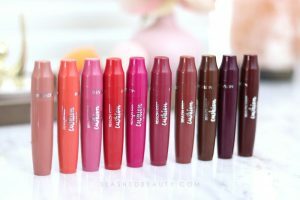 I deepen up my upper lash line by tight-lining with the L’Oreal Infallible Long Wear Eye Pencil, then top my lashes off with the L’Oreal Voluminous Lash Paradise Mascara. 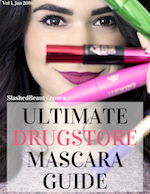 This mascara is no joke— it adds incredible length and dramatic volume. With a light hand, you can make it look a little more natural, but I like going big since it makes me look more done up without much effort. Another step that I can’t skip? Contouring & highlighting— it makes such a difference in adding dimension to the face. I use the matte version of the Physicians Formula Bronze Booster Palette, and add a rosy color with Milani’s Powder Rose Blush in Romantic Rose. Then, I take another Covergirl Vitalist Healthy Glow Highlighter in Sunkissed this time for a gold champagne glow on the tops of my cheekbones. I skip highlighting the other areas of my face (I usually go down the bridge of my nose and on the cupids bow) for the sake of time. This routine takes no time at all, and is just enough to make me feel photo-ready at a moment’s notice without pulling out all the stops. It’s perfect for work, school, going out with friends or even a casual date night. 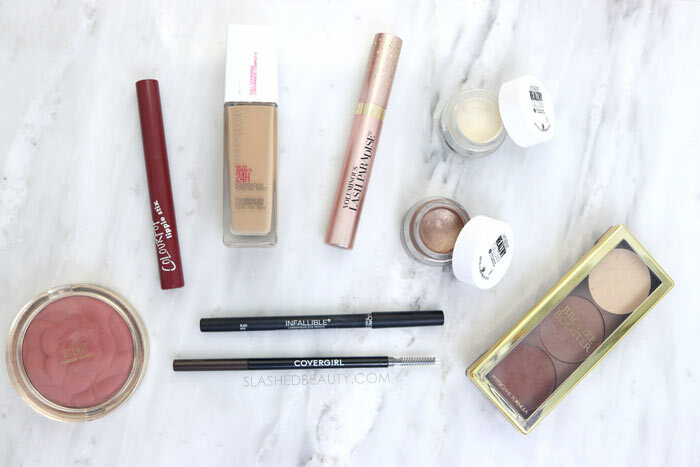 Do you have a quick makeup routine for fall when you don’t feel like going all out?